Join Sharona as she talks sports, entertainment, politics and social issues. Live and unfiltered every Monday and Wednesday 10 am to 11 am CST. Thirsty for more sports talk? Get you some unfiltered juice. Thirsty for more talk radio? Think you can handle the truth? Tune into Episode Ten of Sharona Unfiltered with special guest host Claire Mullins as we talk about being a woman in the media, misogyny in sports talk radio and why men still don't seem to care about athletes who allegedly do terrible things to women. Sharona also takes ESPN to task for suspending Britt McHenry for off the job actions when its male reporters don't get the same kind of scrutiny. We share our personal stories. Wednesday 10 to 11:30 am CDT. Join Sharona and Back Talk for another episode this week featuring a review of Wonder Woman, Adidas naming Kendall Jenner it's "face," plus a journey to sobriety and more. Monday 10 am CDT. Back Talk returns to review the 2017 NFL Draft, the latest changes with the Buffalo Bills and the future of journalism and media, featuring special guest Robyn Mundy. Live Wednesday 10 am CDT. Join Special Snowflake Sharona for a new episode of Back Talk where we discuss why it matters who gets invited to the table and the Eagles of Death Metal documentary. Live Friday 10 am CDT. Join Special Snowflake Sharona for a new episode of Back Talk with special guest Mirza Alfaro talking gaming, sports and the latest from the Resistance. Live Friday 10 am CDT. Special Snowflake Sharona is back for another episode of Back Talk with Wednesday's guest Matt Wood and the return of Chopping It Up with Matt for the latest in sports, politics and technology. Live Wednesday 10 am CDT. 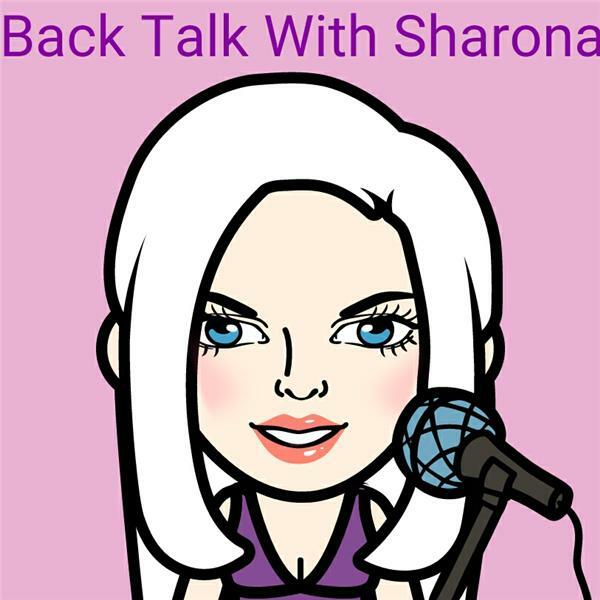 Join Special Snowflake Sharona for another edition of Back Talk focusing on the latest from #TheResistance.